Hope you are all ok. I am sharing something quite different with you today. Its the first time I have made anything like this and I am extremely pleased with the outcome. The Heart is made from Wood. I stamped various scripts onto Tissue Paper and then covered it in Mod Podge. I distressed the edges and added the 3d Flower which was also Hand Stamped, Cut and Layered. It sounds simple when its written down like this but it actually took considerable time and effort, but |I loved every minute of making it and the end result. Wow such a pretty project! Love the colors! 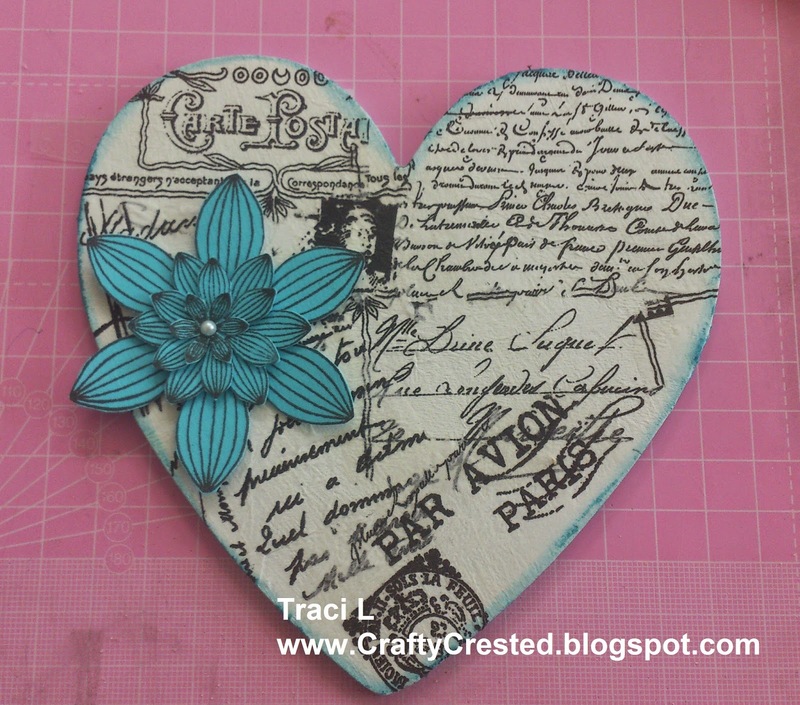 Thanks for playing at Crafting From the heart challenge. We hope to see you next time. Good luck. So gorgeous. Love how it came out. Thanks so much for playing with us at Crafty Girls! Hope to see you back next challenge! This is lovely. Love the colours you've used.